The Hazet 600N combination wrench is the classic and versatile tool. The matte hard chrome surface is both wear resistant and non reflective. The traction profile of the box end provides the best grip on the 6-point screw head. The shank with sturdy double-T-profile provides high strength. The box end of the wrench is angled at 15 degress to prevent accidents if the operator slips. 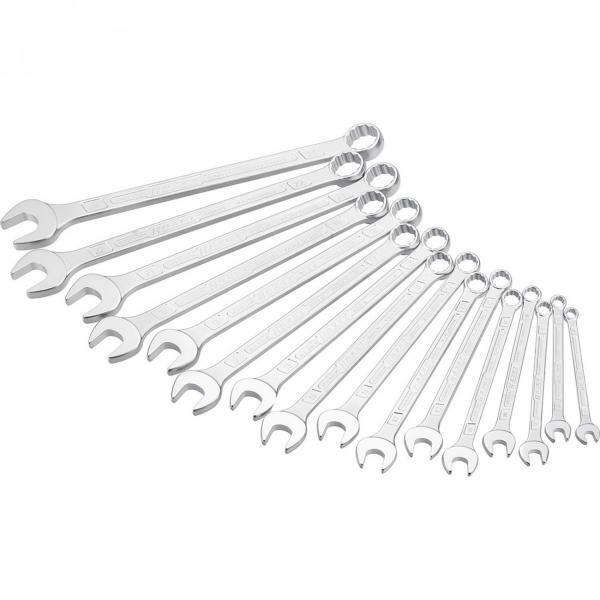 This set is a special offer from Hazet and contains regular 600N wrenches. SPC means SPecial priCe, there is no difference to other sets.